The BGP Attribute Filter feature enables BGP speakers to take a certain action based on the presence of a specified path attribute inside the UPDATE message received from a neighbor. Basically, there are two actions which a BGP speaker can take. When the update is treat-as-withdraw and a specific attribute type is matched, the prefix with this attribute inside the UPDATE message is removed from the BGP routing table. However, if the requirement is to drop a specific attribute from the update and the BGP speaker should process the rest of the update normally, the action discard must be configured for the attribute. 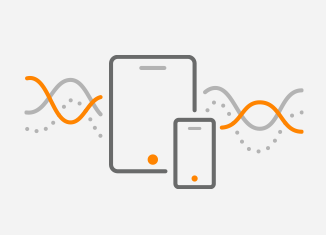 The BGP Enhanced Attribute Error Handling feature prevents both iBGP and eBGP peer sessions from flapping when a BGP speaker receives the UPDATE message with the malformed attribute. The malformed Update is treat-as-withdraw and does not cause the BGP session to be reset. This feature is enabled by default, however it can be disabled with the help of a no bgp enhanced-error command. Thanks to BGP Enhanced Attribute Error Handling, valid routes exchanged over a session are not impacted because a BGP speaker does not reset a session when malformed BGP Update is received. RFC 7606 defines the error handling procedures for a number of existing attributes. As for the matching attributes in an UPDATE message, there are several limitations in the configuration of attribute filtering. For instance, attributes 1, 2, 3, 4, 8, 14, 15, and 16 cannot be configured for both path treat-as-withdraw and discard attributes. Attribute type 5 (localpref), type 9 (Originator,) and type 10 (Cluster-id) can be configured for both treat-as-withdraw and discarattributes for eBGP neighbors only. Let’s explain the differences between the actions treat-as-withdraw and discard for BGP Attribute Filtering using the network topology in Picture 1. The routers IOS-XR (AS 64500) and FRR (AS 64501) are configured to established eBGP session. The FRR router is running Core Linux 9.0 with the installed FRRouting IP routing protocol suite 5.0.2. The FRR router advertises prefixes 192.168.1.0/24 and 192.168.2.0/24 towards IOS-XR. The community 64500:100 is attached only to the prefix 192.168.1.0/24. The route-map Peer-XR is applied to an outbound route 192.168.1.0/24 for a neighbor 1.1.1.1 (IOS-XR). A static route to the loopback IP 1.1.1.1 (IOS-XR) is needed to peer with the router IOS-XR. Static null routes are configured and presented in a routing table of FRR in order to advertise both routes toward the IOS-XR. The sequence 10 of the route-map Peers-XR matches network 192.168.1.0/24 and sets the community 64500:100 for this network. The sequence 20 is needed to permit advertisement of the network 192.168.2.0/24. The IOS-XR router is running Cisco IOS XR Software, Version 6.1.3.
eBGP peers must have a Route-Policy (route-map) configured to permit routes in and out of them. The prefix 192.168.1.0 is received from the neighbor 10.0.0.2 (FRR) with the attached community 64500:100 (Picture 2). Now let’s configure an action treat-as-withdraw on IOS-XR for the attribute community. First, create attribute-filter group WITHDRAW. Then assign the attribute community to the group with the action treat-as-withdraw. 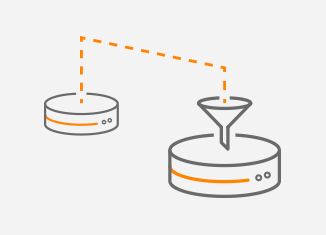 As the next step, configure the inbound BGP Update message handling for the 10.0.0.2 neighbor. Then assign the attribute-filtering group WITHDRAW to the neighbor. As the last step, commit the configuration. Once you commit the configuration, a logging message will inform you about filtering the attribute 8 – community from UPDATE message received from the neighbor 10.0.0.2 (Picture 3). The action treat-as-withdraw is taken for the 192.168.1.0/24 prefix, which means that the prefix is filtered from the BGP table of IOS-XR. Only the 192.168.2.0/24 prefix is presented in the BGP table (Picture 4). Below is the entire BGP configuration of IOS-XR for reference. We only change an action inside the group WITHDRAW from withdraw to discard. The filtering configuration under the neighbor 10.0.0.2 section remains the same. Once you commit the configuration, a logging message will inform you about filtering the attribute 8 – community from UPDATE message received from the neighbor 10.0.0.2 (Picture 5). The action discard is taken for the prefix 192.168.1.0/24 which means that the attribute community is filtered from the prefix. However, the 192.168.1.0 prefix remains presented in the BGP table of IOS-XR. (Picture 6). The difference between an action treat-as-withdraw and discard is obvious. While treat-as-withdraw action purges an entire prefix from the BGP table when a particular path attribute is matched inside the UPDATE message, the action discard only removes the attribute and the prefix is kept present in the BGP table. 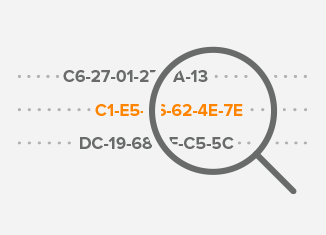 BGP Attribute Filtering provides an increased measure of security. If the specified path attribute is matched in an UPDATE message, the attribute is either dropped and the UPDATE message is processed normally (action discard) or prefix is removed from the routing table (action treat-as-withdraw). The BGP Enhanced Attribute Error Handling feature prevents peer sessions from flapping due to errors from a malformed update. The established sessions are maintained and the valid routes are exchanged but the routes in a malformed UPDATE message are removed. It helps to minimize the malformed UPDATE message impact on routing and significantly saves the resources.